Koninklijke Nooteboom Group is a great family-run business and has been a leading specialist in the construction of transport vehicles since 1881. The company has developed from a blacksmith’s shop into a trendsetter for trailers, and is now the market leader in Europe for semi-trailers and trailers for exceptional road transport. With more than 350 professionals, the company guarantees groundbreaking innovations, top quality and customer-oriented, tailor-made products. New developments follow each other faster and faster. Setting the trend with new transport solutions for extraordinary transport is a continuous process – and the wishes of customers are central to this. After all, customers want customized solutions for specific transport challenges. This requires smart engineering and production processes in order to continue to deliver quality in a short time at a competitive price. Our standard trailers are now fully CTO. The entire work preparation is completed within one hour: drawings printed, manuals prepared and an inspection requested! Nooteboom is very flexible in putting together its trailers. 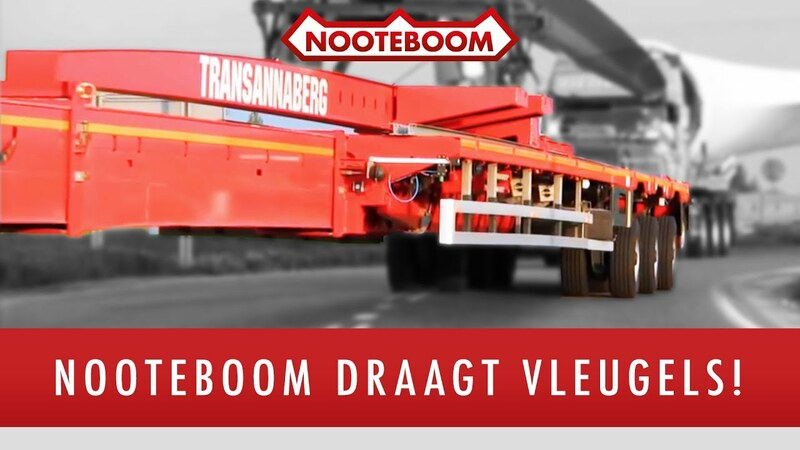 Gerrit Kooij, Engineering Manager at Nooteboom Trailers: “We have a number of ‘standard products’ such as our flat semi-trailers, (semi) low loaders and drawbar trailers. Although we call them standard, there are very many possibilities for customizations within this product group. For example, the number of axles, axle length, fixed axles or hydraulically suspended and steered axles, the length of the trailer, the load height, a load capacity of 20 to 200 tons, etc. The larger and heavier the trailer, the more complex engineering and production become. In addition to our standard trailers, we also have a number of ‘specials’ for specific road transport. 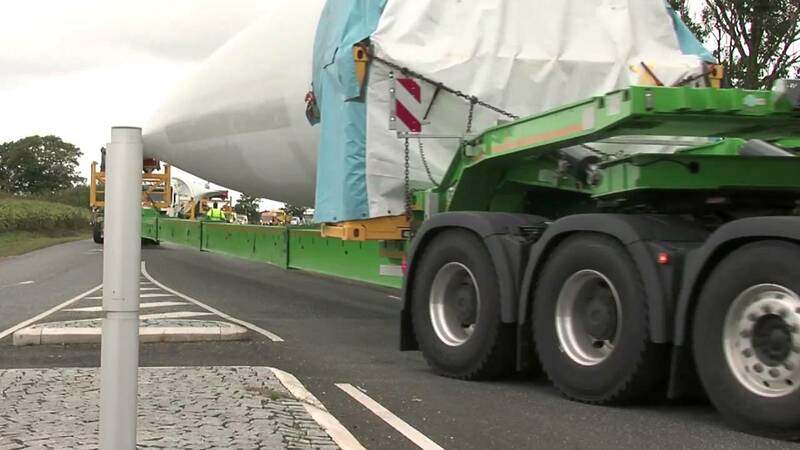 For example, the transport of parts of wind turbines. The blades have a length of no less than 50 meters and weigh about 7 tons! 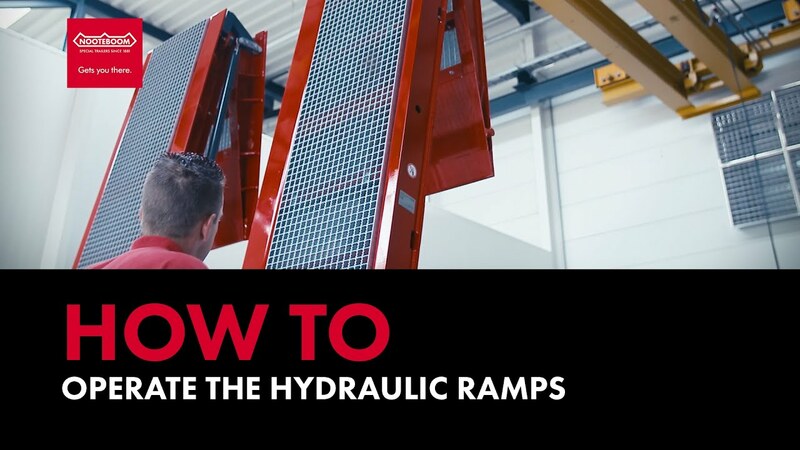 This requires very special transport requirements such as lifting the trailer over a safety barrier when making a bend. “As we build many types of trailers, manageability gradually became a problem. Are you going to draw out all the various types? And also update them all whenever something changes? This would take a huge amount of time and the risk of errors is very high. And how do you remember which combinations are possible and which are not? Data management was a real issue. “We wanted more efficient management of our engineering data in one central location. Revision management for higher reliability in the transfer of engineering data from engineering to production. We also wanted to make our range suitable for standardization and modularization for unique product configurations. Nooteboom is convinced that innovation is necessary to remain successful in the long term. An extensive product range with many types of products requires a fast production process with as few failure costs as possible. They were looking for a company-wide approach with an integrated solution. “That is why Cadac Group really appealed to us. Their vision of engineering, data management, configuration and standardization was perfectly in line with our desires. Not starting with customized work, but working with best practices that have been proven in practice. Cadac Group organized a number of hands-on awareness sessions during which we mapped out our processes with an entire team and quickly saw the solution: Product Data Management (PDM) and Configure to Order (CTO) supported by Autodesk Vault and Inventor. Complemented by the Cadac PDM and Cadac NXTdim Configurator Best Practices, which makes implementation a lot easier. The Cadac PDM Best Practice is a standard implementation of Autodesk Vault Professional. It is a proven working method that has been developed on the basis of countless implementations. This also involves installing additional functionality in Vault that we developed ourselves, such as automatic synchronization between 3D models and the article structure for automated ERP linking with Microsoft Dynamics. This best practice is constantly being upgraded and expanded. We need the functionality to be able to uniquely classify design data for reuse together with Nooteboom, specified and added to our standard. The advantage for Nooteboom is that it will be maintained in the future. “After a successful Proof of Concept in 2014, we set two individuals, together with the Cadac Group, the task of making one vehicle fully configurable. This turned out to be a success! After the summer in 2014 we quickly set to work on our other trailers. “As I said before, we have an awful lot of product variants. Depending on the numbers, we use the Configure to Order (CTO) and Engineering to Order (ETO) processes. Our standard trailers are now fully CTO – the entire work preparation is completed within one hour: drawings printed, manuals prepared and an inspection requested. For the more complex specials we use ETO processes, which means that we only work 20 to 40 hours on one order. Please note: this trailer is completely custom made. The engineering is not only much faster, we also now have a fully manageable data structure, higher quality and lower production failure costs. What are the ingredients for the successful implementation of this vision in the business process? “Collaboration of management, a clear project plan divided into manageable parts, freeing colleagues from ongoing projects and making success transparent for the entire organization. Above all, it is important not to make it too difficult and to start with a product that already exists. We thought, like many other companies, that we were making very special vehicles for which standardization would simply not be possible. Cadac Group showed us that we are basically a steel processing company with a construction, conservation and assembly phase. What makes us unique, however, is that we know better than anyone how to design and build the best trailers. After a thorough analysis of our product range (Product Structure Breakdown), it turned out that there was still a structure in place to make variants and dependencies unique! The first configurable mother model is a success. “However, this does not mean that we are finished. Where we are now is only the beginning, we want to continue to learn and do it even better and smarter tomorrow than today. In the next 3 to 4 years we will redesign all products based on this new approach. In doing so, we will continue our collaboration with Cadac Group, as this offers us real added value. Together, we are not only working on smarter data management and product configuration, we are improving full chain integration with our suppliers via the TradeCloud platform. TradeCloud allows Nooteboom to integrate its preferred suppliers into the supply chain. As a result, the strength of the suppliers contributes to improve the competitive position of the entire chain. This helps optimize delivery predictability. As TradeCloud automatically combines the right current technical drawings with purchase orders, the attention of the purchasing department can shift from operational to strategic purchasing.